MICHAEL JACKSON's strong adherence to the core values of integrity and client service, as well as a good sense of humour, have served him well in his professional career. 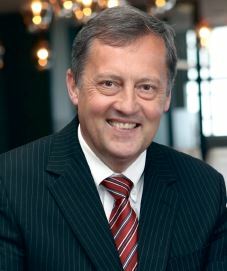 He was appointed in managing partner of Durban law firm Cox Yeats in 2011. During the late 70s and early 80s, Jackson studied for a Bachelor of Commerce (BCom) and a Bachelor of Law (LLB) at the then University of Natal, Durban. This time, he said, was at the tail end of the hippy era and also shaped by Durban's beach ethos of shorts, sandals and surfboards. Following his graduation, he spent two years at Cambridge University in the United Kingdom, where he completed a master's degree. In addition, he was exposed to a different atmosphere and a new set of experiences, including an introduction to rowing, which he still enjoys. On his return to South Africa, Jackson was required to spend, "a two-year depressing period doing national service as a legal officer in Kimberley and Ladysmith". In January 1998, Jackson joined Cox Yeats as a candidate attorney, at a time when many of his university colleagues were already partners in law firms. He commented that initially starting over was really tough. Jackson was articled to Graham Cox, who checked every document that he produced. Jackson said, "Graham Cox told me that I needed to learn the basics of writing and suggested that I read a book or two." This advice came as quite a shock especially after having studied at university for seven years and having been a military officer for two years. "This somewhat Victorian introduction to law and work taught me that in law you are never an expert. You must always remain humble and you must take nothing for granted," added Jackson. His early career, he says, was based on a lot of hard work and some luck. In addition, Jackson said that he was fortunate to work with some good people. "I was privileged to work closely with Graham Cox (who at that time was undoubtedly the best lawyer in Durban) and also with Jeremy Yeats. In many respects they were complete opposites. Graham economic with words and decisive; Jeremy amiable, who pondered and weighed the various options in committee." A highlight of his career was making partner in 2000, after only one year out of articles. From the outset, Jackson said that he was exposed to large clients and important matters. A big opportunity arose when Jeremy Yeats fell ill, and Jackson took over the work that he handled for Richards Bay Minerals and Tongaat Hulett on land, the environment and minerals. It was through this exposure that he then specialised in natural resource law, which was something that he had not considered at university, where he had focused on tax, finance and corporate law. "This was also an interesting time. Richards Bay Minerals was at the forefront of development in environmental law with its proposed mining at St Lucia and natural resource law became prominent with post 1994 developments and the redistribution of land, minerals and water," commented Jackson. The promotion to partner was only the beginning of Jackson's almost thirty-year journey with Cox Yeats. In this respect, Jackson says that he is quite old fashioned in his approach to his career as he believes that "You should make a place work, if it is an environment that works". This employment history is in great contrast to the modern trend of job hopping, which is also a challenge for employee retention. Jackson says that it is important to have a culture that builds people from a young age and grows their careers so that they stay with the firm. However, this does require a reciprocal relationship of trust and organisational commitment. Leading a law firm and dealing with a range of diverse personalities requires much responsibility, especially with 25 partners. As such Jackson favours a participative management style and is as inclusive as possible in allowing everyone to air their voices to reach consensus. He commented that it has been very fulfilling to develop a team of professionals around him and work collectively, as opposed to individually. The Cox Yeats way values independence and participation. However, he added, "We have found that focussing on our core values and measuring all decisions in reaction to these values has given us much relevance. Our model in recent years of living true to these values has been very successful." An important part of these values is offering outstanding client service and being quite bold. "We regard ourselves as the best KZN law firm and have an increasing amount of international reach, which in the future we would like to grow," concluded Jackson. Jackson is married to Helen who is also a lawyer and has two children. In his free time, he enjoys rowing three times a week on Durban Harbour, the office exercise class and hobbling around the neighbourhood. Apart from international travel, a favourite break away spot is a cottage on the Transkei wild coast, which has been in the family for nearly 80 years.